The 1840s Ballroom is exactly what you would expect. A vintage inspired ballroom with the class and sophistication of an era long gone. As a party venue this space offers plans for a wedding reception, large gathering or even a Quinceanera. There is room in the banquet area for 230 people to have a seated dinner and celebrate your wedding and room for 350 for a standing cocktail party. With rates starting at $2,700 during the week, this space is not cheap but it is worth the price. 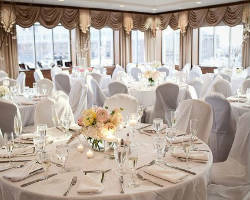 The Harbor Magic Hotel has earned a reputation in the area as one of the most affordable and timeless wedding venues around. 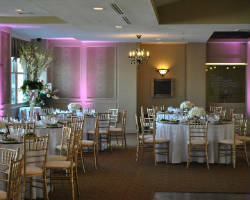 The venue has indoor and outdoor spaces for both wedding ceremonies and receptions. Reviews of this venue have said that it was the best choice they could have made for their wedding. With the help of their wedding specialist you will get valet parking, guest accommodation and on site catering, you can have everything you need in one place. 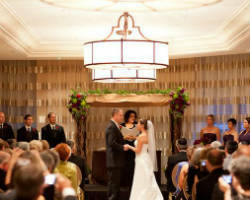 Perfection is exactly what Sonesta offers when you have your wedding and reception there. This venue has a huge staircase, ballroom with a breathtaking view of the harbor, and private rooms for the bride and groom to each prepare. As an award winning venue, you can trust that you will have a stress-free wedding day that you can enjoy while the venue takes care of things behind the scenes. As a small wedding venue, or celebratory blowout, this venue is ready to handle anything. 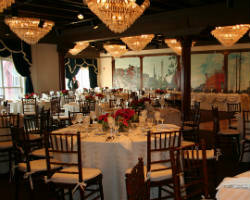 Tabrizi’s Wedding Venue makes choosing them an easy choice when they are clearly the best venue in Maryland. They are flexible and are ready for anything, meaning if you change your mind about anything, they can make it happen. The stunning views they offer are unmatched as well as the relaxed environment and service they provide. Relaxed does not mean they sacrifice any quality, just try to make you feel at ease throughout the experience. What really puts them ahead of their competitors is their location in the heart of the city. The Hotel Monaco Baltimore has put on hundreds of weddings in the area, which is why their wedding options are so extensive. First of all their wedding specialist is the best in the business, helping you work out the details to get the best use of the space you choose. Then the hotel offers wedding room blocks so you and your guests can stay in close proximity after the night has finished. With reception halls and ballrooms to choose from, you can make sure the venue matches your personal style. When we think of country clubs, we automatically think of sophisticated and classy events for the elite. 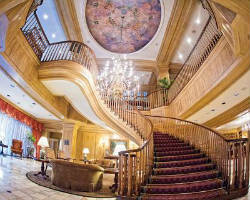 That is exactly what The Mansion at Valley Country Club Inc. offers for every wedding reception they host. In the comprehensive wedding package they offer, they have a full service seated dinner, open bar, designer floral arrangements, a separate cocktail hour room, decorative table linens and free parking. 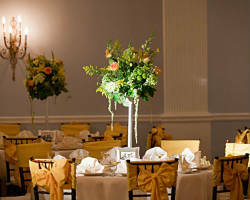 There are no price lists as each of their wedding receptions receives the same service. There are a few traditional wedding venue options. You could reserve a wedding chapel, garden wedding venue or a hotel ballroom. The hotel is the only option that has a gorgeous space, wedding planning on site, catering and guest accommodation. 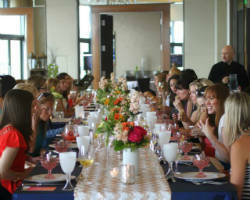 They have a variety of wedding packages to choose from which all include an open bar, seated dinner and wine service. This venue also has experience hosting Indian weddings. Regardless of the type of reception you choose to have, you will have the best night of your life.